Brannen Brothers Piccolo #7707 Price: $5,500 Special $4,950 This beautiful handmade Piccolo was crafted by Brannen Brothers in 1977. This "vintage" Brannen Piccolo has an incredibly sweet, fluid sound and an impeccable high range! Grenadilla wood headjoint and body Sterling silv..
Powell Vintage Piccolo #2121 ~ Preowned Listing Price: $5,500.00 SPECIAL: $5,295.00 This is a beautiful and one-of-a-kind custom Powell Piccolo made in 1960. It inlcudes the original vintage headjoint and has been converted from an open G# system! Grenadilla headjoint and body Sterlin..
Music for Four - Set of All 4 Collections (4 Sets Included) 77000 - Save $22.50! Music for Four, Set - All 4 Collections - 77000 Buy as a set and save! *Available Online Only* Includes 4 Complete Collections of Music for Four: Music for Four, Collection No. 1 - Popular Christmas Favorites Music for Four, Collection No. 2 - Early Popular Favorites Music ..
Music for Four Flutes - Set (2 Volumes) 78009 - Save $6.00! Haynes Custom ~ Silver with C# trill Soldered Tone Hole .016" with offset G & C# trill - Demo Model The Wm. 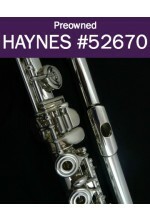 S. Haynes Custom Flute is the pinnacle of American craftsmanship. Each Flute is carefully built and designed to exacting specifications and displays the beautiful warmth..
Haynes Custom ~ Sterling Silver Drawn Tone Hole .018" with offset G & C# trill - Demo Model The Wm. S. Haynes Custom Flute is the pinnacle of American craftsmanship. Each Flute is carefully built and designed to exacting specifications and displays the beautiful warmth and swe..
Music for Three Set of All 9 Collections (9 Sets Included) 57000 - Save $34.00! Music for Three, Set - All 9 Collections - 57000 Buy as a set and save! *Available Online Only* Includes 9 Complete Collections of Music for Three: Collection No. 1 - Patriotic Songs Collection No. 2 - Popular Christmas Favorites Collection No. 3 - Tangos! Coll..
Solo Set for Flute & Piano - 41001 Buy as a set and save! 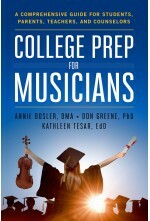 Includes 7 Complete Solo Books: 20 Sacred & Spiritual Solos - 40009 20 Traditional Wedding Solos - 40040 18 Traditional Christmas Solos - 40024 30 Solos for the Intermediate Flutist - 40008 An..
Muramatsu DS #62141 This expertly crafted Muramatsu flute features a sweet and lyrical sound. This silver flute has drawn tone holes, an inline G, a D# Roller, and an engraved lip plate. Sterling Silver headjoint, body, and mechanism Drawn Tone Holes Inline G Lo..